Next session of Intro to Hand Built ceramics. Classes begins and of April 2019 (Monday nights) . This bilingual course is 8 weeks long (from 7PM to 9:30PM). 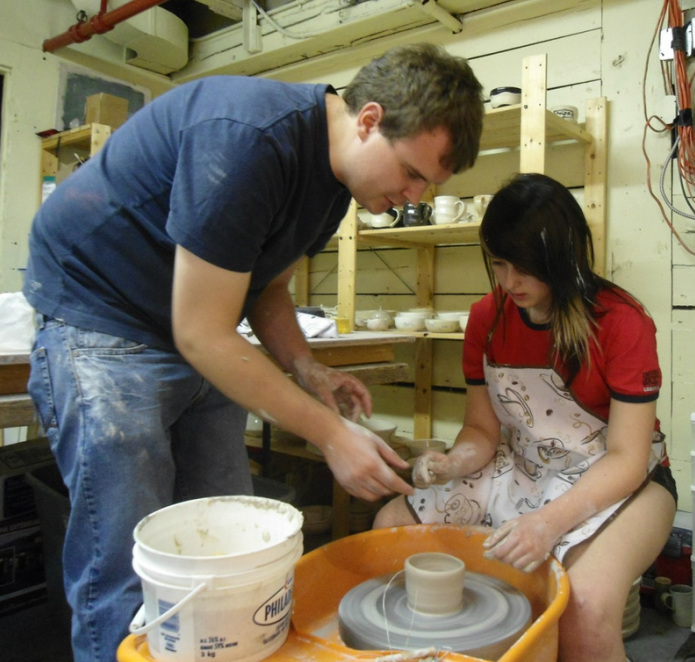 Throughout the duration of the course you will learn how to transform clay using various traditional manufacturing techniques such as modeling, coiling, pinched pots and slab built. In addition, students will learn various decorating techniques! YOU ARE THE ARTIST! Your instructor, Nicolas Ouellet, will provide you with a demonstration at the start of each course. Furthermore, a variety of ready-made pieces found in the workshop can be used as a source of inspiration. The cost per session is $300, plus tx. The materials are included in the cost (clay, firings, glazes & engobes, all Tools and some books and reviews on ceramics art). You'll be surprised to see what you have created after 8 weeks! * A minimum $50 deposit (20%) is required. Cash, interac and credit cards are accepted. Classes are held at the Bâtiment 7. To register, please call to reserve your place. You are invited to make an appointment to visit the workshop. - To decrease stress! Working with clay is therapeutic! - To develop artistic abilities! - To meet new people! I HAVE NEVER WORKED CLAY? IS THIS A PROBLEM? Absolutely not! This is an introductory course for beginners! You will begin by making small parts with very simple techniques (pinched pots, slab built etc.). Gradually, you will learn basic techniques which will allow you to create a wide variety of pieces! 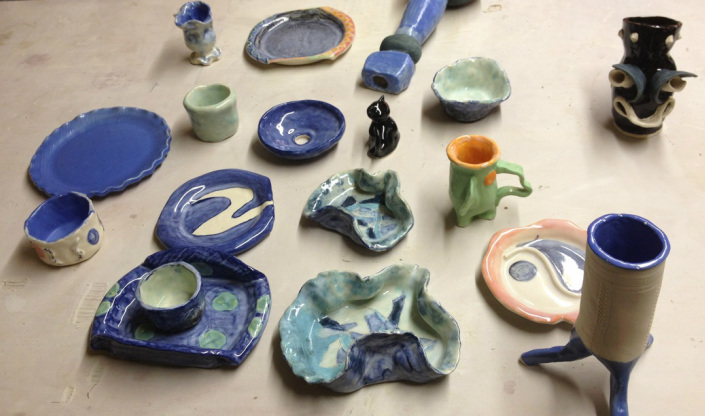 HOW MANY PIECES OF POTTERY CAN I MAKE IN 8 WEEKS? Between 6 to 8 pieces (or maybe more! ).